Maple Ridge Bison Ranch produces some great tasting maple syrup and bison meat! Bison, Nature's Original Heart Healthy Red Meat. 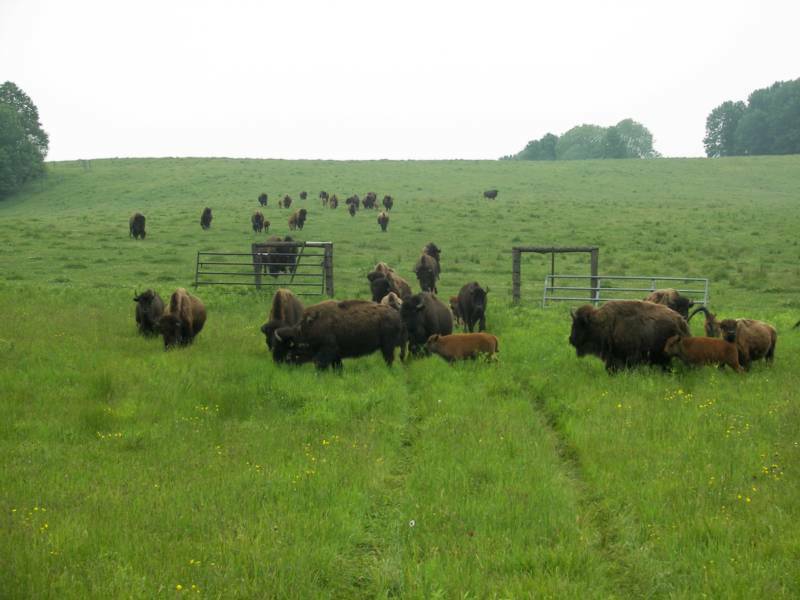 Maple Ridge Bison Ranch's bison are all strictly grass fed and grass finished. They are not fed any grain or animal byproducts and graze on only native grasses and browse. They do not administer any steroids, growth hormones or antibiotics. Grass fed and grass finished bison meat is both: low in calories, fat and cholesterol and, high in: protein, minerals, iron and heart healthy Omega-3 fatty acids.